How to Start a Vending Machine Business! 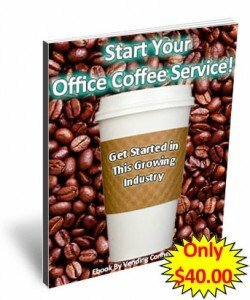 Newest Vending Start Up "How To Ebooks"
Jumpstart your vending business by learning from the best. What type of vending business would you like to start? 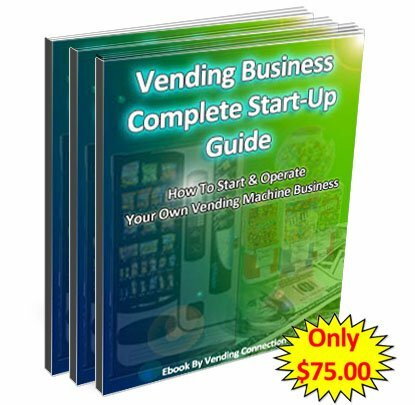 The following vending ebooks are the best information on the market today, on how to start your new vending machine company business. Invest in vending, you’ll be glad you did! MAKE MONEY WHILE YOU SLEEP! Find out the Pros and Cons of owning a vending business… the secrets are in each of these ebooks! SAVE THOUSANDS OF DOLLARS WITH THE RIGHT KNOWLEDGE! order now…delivered into your email instantly! 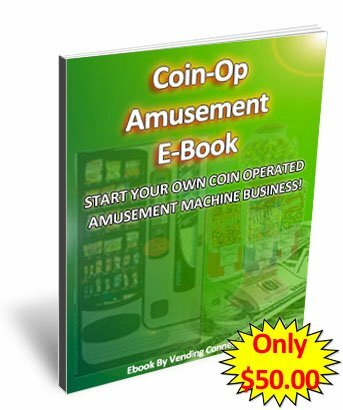 Each Ebook is specific to it’s own type of vending machine equipment- Such as OCS is Office Coffee Service using Coffee Brewer machines, Snack or Soda/Drink Vending Machines, Combos- Combination Snack & Drink Vending Machines, Deli Food Machines, Amusement Games that includes Arcade Gamerooms, ATMs is Automatic Teller machines that vend money are reviewed. Please scroll down to see the different types of ebooks currently offered and click on the ebook of your choice to review. 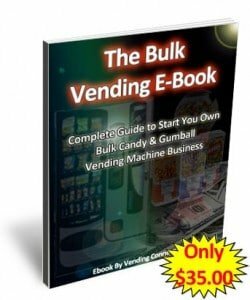 Looking for Specific type of Vending E-Book? to reading the entire startup kit’s information. After glancing at the table of contents, I immediately realized your kit is good. The information you provided will certainly help me be successful in my new endeavor. For FAQ’s about Vending Machines Business. Call us at 1-800-956-8363 to POST YOUR COMPANY, or QUESTIONS? © VendingConnection.com - Copyright 1996-2019, All rights reserved.